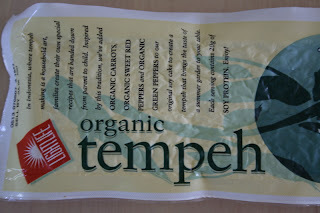 What the *%#@ is Tempeh??? So it is Day 6 of the cleanse...one more day and we are onto phase 2. So far I have loved everything on the menu for the most part....that is until this morning! We opened our little recipe guide and looked up the day 6 breakfast....it was Baked Tempeh! 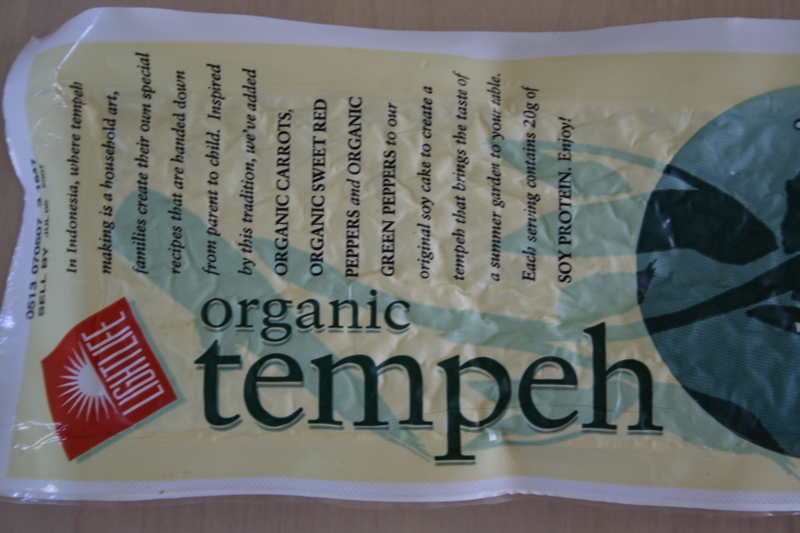 What the hell is tempeh??? Welp, I am still not sure what it is exactly, but I do know one thing...it is NOT my first choice for breakfast. It's not even my second or fifteenth choice, but we followed the recipe and ate it all up. It was edible....which is good, but I was in no way savoring every bite! Paired with the tempeh we had a slice of whole grain toast and a 1/2 cup of steamed spinach. Thank god for the bread cause I made a little sandwich out of it to cover up the taste. Just the look of it grossed me out...I will refrain from sharing my thoughts on what it resembles because I am 30 years old. When I was baking it, I told myself while eating I would just imagine that it was a french toast stick....That was a nice try! Lunch hit the spot, it was Quinoa Salad and a Microgreen Salad. By the way, if you are interested in getting any of these recipes you can find them at the Ultimate Reset website http://www.ultimatereset.com/ , I know you are all DYING to look up hot to make Baked Tempeh! Sorry couldn't turn the picture today...just tilt your head! As for dinner, it was tasty but less food than the other days. Although I was not hungry when I was finished I still wanted to eat. Dinner consisted of a Roasted Root Medley, 1/2 serving of Zucchini-Cashew Soup, and 1 serving of toasted Millet....that is another thing I had never heard of. Millet wasn't bad, it resembles and kind of tasted like couscous. Over all Day 6 was doable, but not my favorite day thus far. Just one more day of the Reclaim Phase and then it is onto Release....ahhhhhhh!